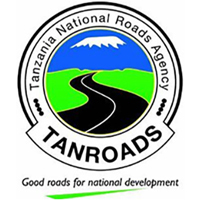 TANZANIA NATIONAL ROADS AGENCY (TANROADS) is a Semi-Autonomous Agency under the Ministry of Works established on July 1, 2000 and is responsible for the day-to-day management of the Tanzania Mainland’s trunk and regional roads network. Its primary functions include the management of maintenance and development works, operations of the network and Axle Load Control, the implementation of road safety and environmental measures, provision of advice on the strategic framework, policies and plans for the road sector. Regional Manager, TANROADS – DAR ES SALAAM on behalf of the Chief Executive TANROADS seeks to recruit qualified and competent with high integrity Tanzanian Citizens to fill 27 posts for specific duties on contract basis at a newly installed axle load Weighbridge at Kurasini in Dar es Salaam. Successful candidates must be ready to work on all working days, Weekends and during Public holidays, away from his permanent station as situation warrant. Must be willina to work for considerable lengths of time when required under minimum supervision.